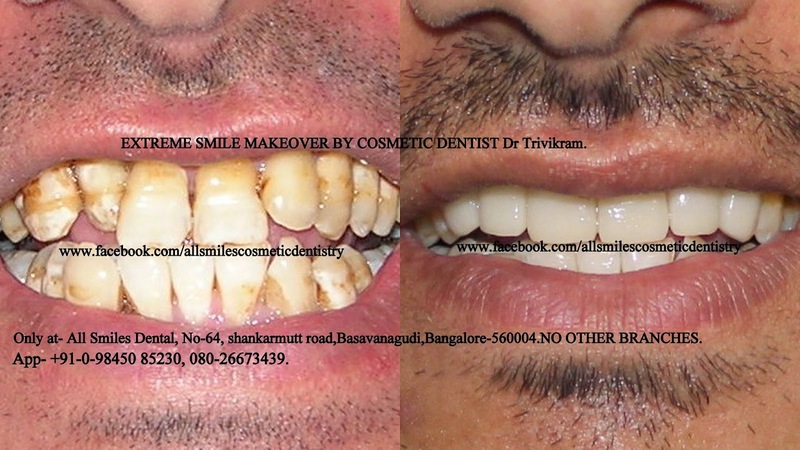 Introducing Instant Smile Makeovers In Bangalore-With Composite Veneers. What is it? - It involves cosmetic makeover of teeth in just 1 hour with Composite veneers. -Cavities spreading between the front teeth. How is it done? The teeth are built up with a material called Composite Resins. The latest advancement in composite resins is Nano Composites which are stronger and more resistant to stains compared to the old ones. To create composite veneers, composite material is applied to the front surfaces of the teeth and sculpted to the desired shape and finished under the hands of an experienced cosmetic dentist. It is possible to make the composite veneers look very natural. Please see the photographs of case done. Who can provide composite veneers? To create natural looking composite veneers, dentist must have an artistic flair and the technical skills required to carry out this type of treatment. A cosmetic dentist experienced in composite veneers will have a clear understanding of the properties of dental materials and experience in hand-crafting and replicating the shape, texture and characteristics of teeth. Every individual is unique and has a different tooth shape, smile line and symmetry. An experienced cosmetic dentist will take all these factors into account when creating composite veneers. If you have any of the following problems with your teeth and smile you are a candidate- Teeth with gaps, crooked teeth, overlapping teeth, over sized or small teeth, dark teeth, protruding teeth , fractured teeth any old ugly crowns and bad composite fillings. Cosmetic dental treatment is done without braces/clips/orthodontic treatment. It is done by changing the alignment, shape, color and texture of your existing teeth with the help of ceramic/porcelain crowns/veneers. It takes only 5-7 days and 2-3 visits. Yes, they look absolutely natural and translucent unlike crowns with metal. 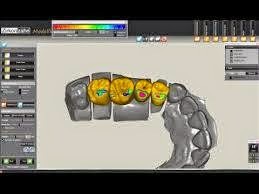 With the arrival of METAL FREE PORCELAIN and CAD-CAM design you can get stunning results in a short time. Whiter, brighter teeth—in just 1 hour. 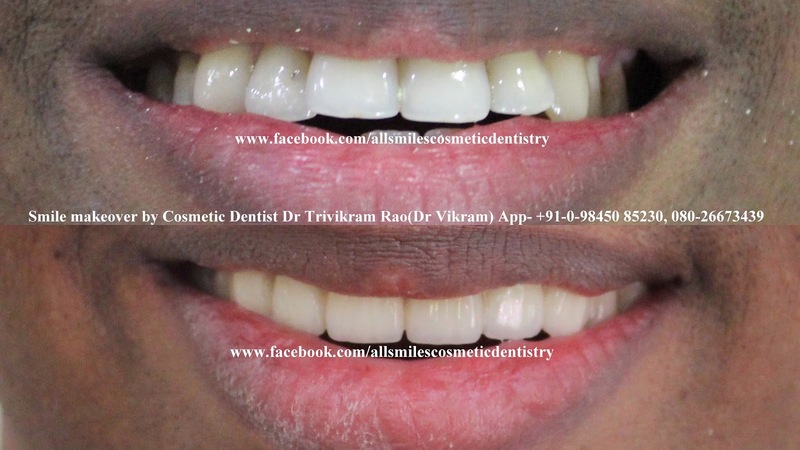 Teeth Whitening in Bangalore. 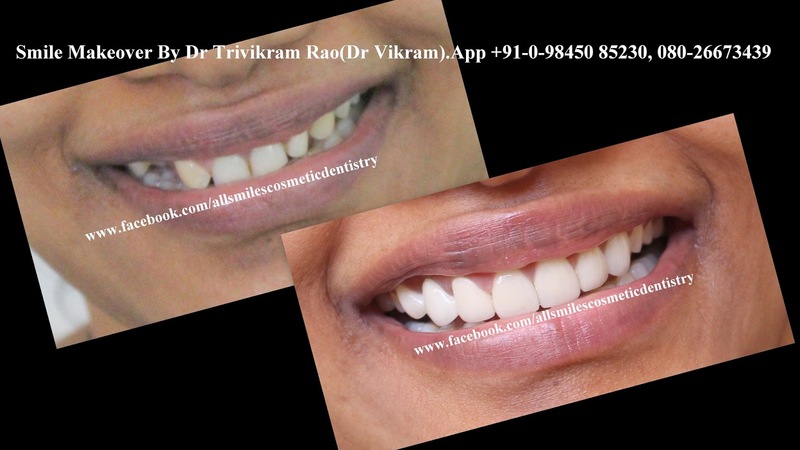 Teeth whitening in Bangalore. For a brighter, whiter smile without the wait, choose an in-office, chemically activated whitening treatment that offers results in less than an hour. It's ideal for people who want instant whitening gratification or those who have that special event coming up that requires a bright, white smile. Get answers to the frequently asked questions about Instant / 1 Hour teeth whitening procedure..
Teeth whitening is a safe, comfortable way to get a bright, white smile. Results and treatment time may vary depending on the level of staining and whiteness desired. Crowns, bridges, fillings, and veneers will not whiten. We recommend visiting us for a prewhitening consultation so that they can help you choose the professional option that best fits your needs. Teeth whitening results are very stable; leaving you with a stunning smile long after treatment is over. However, there are a few factors that can make teeth lose their lustre. Things like genetics, diet, age, some medications (like tetracycline), and certain habits (like smoking) may affect the length of your whitening results. Fortunately, touch-up treatments are quick and easy, helping you get that bright, white smile. Tooth sensitivity is a relatively common side effect of teeth whitening. If sensitivity occurs, it is often temporary and will go away once you've completed the whitening process. Good quality whitening products include desensitizing ingredients like potassium nitrate and fluoride to help reduce sensitivity and provide additional comfort. The actual procedure will be completed in less than 30-45 minutes. 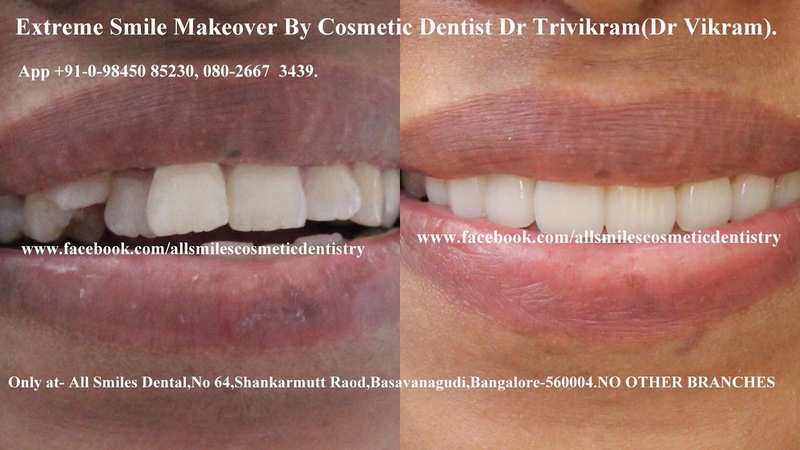 Labels: All Smiles dental clinic, Cosmetic dentistry, Dr Trivikram Bangalore, Dr Vikram, Smile designing, Smile makeovers, Teeth whitening in bangalore.Instant teeth whitening. THE DILEMMAS IN EVERYDAY DENTISTRY- For the dentist and Patient. Here, we discuss about commonly asked doubts/questions asked by patients while undergoing or considering dental treatments and also few common problems we encounter while performing routine dental treatments. This is a sincere attempt to clear a few misconceptions. Q- From the patient who feels cheated- I went to the dentist because I had sensitivity in my tooth. They did a filling then I started having pain, then I went to another dentist who said that they have infected the nerve and I had to do a root canal treatment, the first dentist has cheated me. A. When a patient comes to a dentist with cavity and sensitivity, the dentist hopes to be able to fill the cavity without the need for a root canal. Because most of the times even if the cavity is very deep the patient has only sensitivity, not pain. To understand how a cavity affects the tooth, we need to have a basic understanding of its anatomy. A tooth is composed of several layers. Outermost layer is called the enamel. Under the enamel is the dentin. Unlike the enamel, dentin contains nerve endings. Beneath the dentin is a vascular tissue called the dental pulp/nerve .When the cavity is in dentin the patient starts feeling sensitivity. 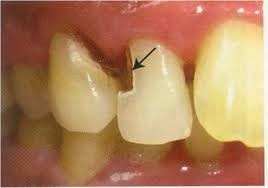 When we start doing a filling, we actually drill out the decayed tooth material in enamel or dentin. Unfortunately, a deep cavity in dentin increases the likelihood that the tooth will require a root canal .A lot of times patients force the doctor to do a permanent filling even if the doctor feels that the cavity is deep in dentin very close to nerve. The patient may be simply afraid of the procedure. Here's the problem. 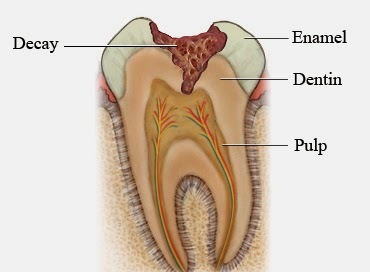 If a deep cavity is filled, and there is no visible evidence that the pulp has been infected, the tooth might still need a root canal days, weeks, months, or even years later. The possible reason why this can happen is-The bacteria may have entered the pulp/nerve via microscopic openings in the dentin surrounding it even before or during the procedure. This puts the dentist in a "catch-22" situation. If the dentist leaves the deep cavity alone, the tooth will definitely need a root canal when the cavity eventually reaches the pulp/nerve. If the dentist fills the cavity, the tooth may start giving pain either immediately or at a later point in the future. It is still better to fill the tooth, because there is also a good chance that the tooth will never need root canal or any other treatment. So we do take a chance and do a filling and inform the patient that if the tooth develops pain afterwards we need to look at RCT. Sometimes the filling works and sometimes it does not work. In our practice also we have come across such situations .Now we have started to follow the STANDARD PROTOCOL described here to prevent any misunderstanding that can happen if the patient develops pain after a filling- In case of a cavity which we start out as a filling but realize that it is deeper and we feel that RCT is needed-Instead of taking a chance with a permanent filling we do only a temporary filling. And the patient is always free to take a second opinion regarding this. Q- From the NRI Patient-I am a NRI from HongKong, U.K/U.S.A, I earn in dollars. If I come to you will you be charging more if I give my address as HK/U.S.A.? No. For us you are a just a dental patient. The cost depends on the treatment required, not on your nationality. If you do not trust the doctors here, you have a choice. Unfortunately some NRIs (Not all, just some -with our due respect ) are stuck in a time wrap. They feel that they are entitled to get the best of the services at the lowest cost .And when the reality is different they accuse everyone of charging 3-4 times more only because they come from other countries. They fail to realize that India as a country has moved on to offer high quality services and Indians in general appreciate world class services. Good quality materials and equipment are mostly imported in dental field .They are expensive and we don't get to crib about their costs as the manufactures don't care about it.If you can not appreciate that fact that quality services don't come very cheap, you have a choice of not seeking treatment here. Q- Dr A charges only x amount for a fillings /RCT/crown. Why is it that Dr B charges more? Dental treatments are not products sold in dental clinics.They are services offered by dentists.Private Dental clinics/dentists in India are completely self-regulated. They do not have any uniform regulations for the infrastructure .They do not abide by any standard specifications for the equipment/materials used during the treatment procedures. There is no authority monitoring the sterilization process or quality of materials used in any dental clinic. So if Dr A has spent very less on infrastructure, sterilization equipment and using cheaper materials then he can offer treatment at x amount. Someone who is spending more on equipment, using good quality materials and skilled staff will charge more. To give an example the local dental x-ray machines cost about Rs 30000-40000 but they are known to emit residual radiation which is very dangerous to the patient . If you have to use a safer x-ray machine it will cost about 4-5 times more as compared to the local one.Same goes with lot of other materials.In effect safer and good quality dentistry will cost you more. Also, Doctors who prefer to deliver hi- quality care to a limited number of patients in a day charge more than doctors who dilute the quality of care by taking in more people.Here we offer personalized treatments to a limited number of patients in a day.We are not into mass practice of dentistry. Q-Can you give me a cost estimate on the phone for my procedure? A lot of times what the patient explains on the phone is completely opposite to what the doctor finds in the mouth during a clinical examination. It is better to arrive at a cost estimate after a thorough clinical examination and x-rays if required. 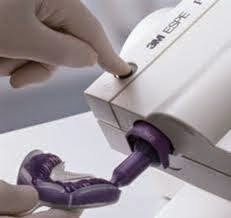 Dental procedures require good expertise and state of the art setup. It is impossible for us to give the cost when clients ask for charges of dental procedures over the phone without bothering to check out the materials we use, the results we deliver. Hence it is always better to visit the clinic, consult the doctor and then commit to the treatment rather than shopping for the price. Q- From Dentally Damaged-If I come with a single tooth infection will you treat my other teeth and ask me to pay for all these? No. When a patient comes to us with a problem, we are merely giving an opinion based on clinical examination and diagnostic aids. The patient is absolutely under no obligation to start the treatment and pay us. 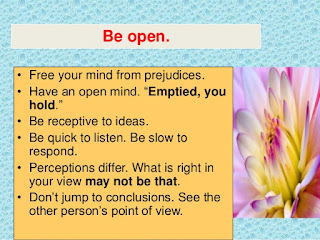 In fact if the patient wants a second opinion he/she is free to go for it. In case the second doctor has a different opinion he is free to share it with us just with a phone call. As for the commencement of treatment with us is concerned, typically this is the standard procedure that is followed. –--After arriving at a detailed treatment plan a cost estimate is prepared. One copy of cost estimate will be given to the patient and the patient has to sign the second copy which will be kept in our records. So, Commencement of treatment is totally based on mutual consent of the procedures and cost. Q-What happens if I encounter problems during or after the treatment? What should I do? All the patients undergoing treatment are given detailed instructions to be followed during the treatment .They are also explained about the possible problems that can occur. You will be attended to at the earliest if there is anything that needs attention. We advise the patients to follow up at least twice a year for post treatment recall and routine check up. If anybody has issues with any treatment taken they can meet us here. 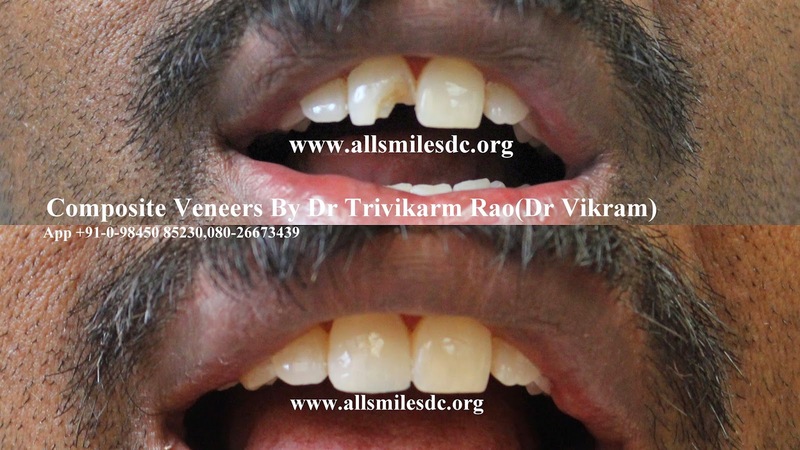 Ph- +91-0 98450 85230 ,080 266673439. http://www.allsmilesdc.org/clinic-faq/ Q- How do you Identify your patients when they come back to you? Every patient who comes here is registered and given a unique number.We always maintain digital and manual records of all the patients and the treatment we have done here.The patient needs to bring the reference number , we will be able to access all the treatment records. Q- Are there any guarantees on any treatment ? NO. While there can be warranty on products manufactured but not on any treatments. Some crowns do carry manufacturer warranty,but there can not be any guarantee on any medical treatment. We put our sincere effort into every treatment but the outcome and longevity depend on many factors including general medical health,hormonal status and good maintenance from the patient. We can give a fair prognosis of said tooth depending on our experience.Only quacks offer guaranty on medical treatments. Dentistry is not an exact science , therefore practitioners can not guarantee results. 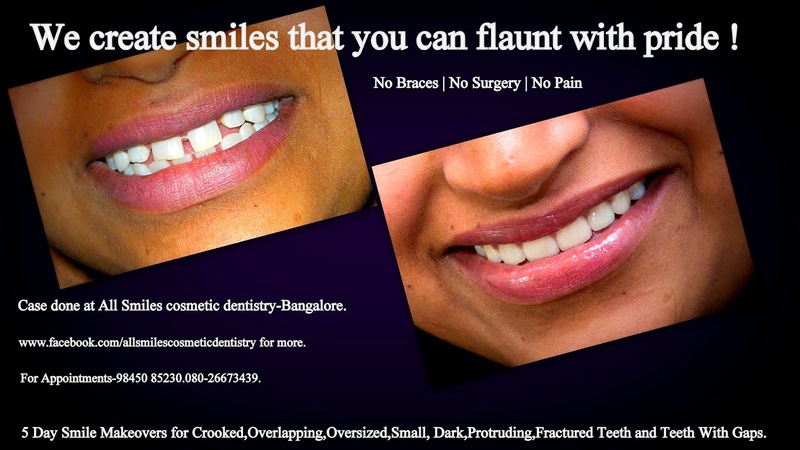 cosmetic dentistry,smile makeovers in Bangalore. Think of the last time you posed for a picture. Did you flash your pearly whites or did you hide your teeth? Today, many people benefit from Cosmetic Dentistry. A wide range of techniques are available that can enhance almost any smile. Gone are the days when you had to settle for chipped, stained and crooked teeth. A revolution in newer technology and materials ensure that cosmetically enhanced teeth now look more natural and last longer than they did in the past. Skillfully blending science and art, we at ALL SMILES center for cosmetic dentistry can “sculpt” a more attractive smile for you. A smile is a powerful way for you to communicate. A new smile will help make a great impression – both personally and professionally. Cosmetic dentistry, Smile designing, Smile makeover, Smile Sculpting, Aesthetic Dentistry . All these terms indicate the same treatment options. In simple words it means sculpting a better smile by changing the alignment, shape, color and texture of your existing teeth with the help of ceramic/porcelain crowns/veneers. This treatment is not a surgery and your teeth can be straightened without braces/orthodontic treatment and can be finished in just 5-7 days. SEE MORE PHOTOGRAPHS at https://www.facebook.com/Allsmilescosmeticdentistry/photos_albums Who needs cosmetic dental treatment?Take this simple test. “Yes” then you need to get a cosmetic evaluation done by us at ALLSMILES !
! Do you lack confidence when smiling?
! Do you wish you had a smile as pretty as the models?
! Do you wish your teeth were whiter?
! 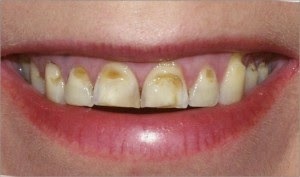 Do you have any stained or discolored teeth or filling?
! Are any of your teeth crowded, overlapping or crooked?
! Are any of your teeth missing or do you have gaps between any of your teeth?
! Do any of your teeth have uneven shapes due to chips, fractures or rough edges?
! Do your teeth seem out of proportion because they are uneven in length?
! Are you dissatisfied with the way your gums look?
! Are your gums red, swollen, receding or bleeding? FOOL-PROOF STERILIZATION IN DENTAL OFFICE-A few important things to know ! Now a days the biggest concern for any dental patient is about the sterilization techniques employed in the dental practice.Without a fool proof technique the patients are prone for deadly cross infections like HIV and Hepatitis B during the dental treatment.We give you information about how we handle our sterilization process. 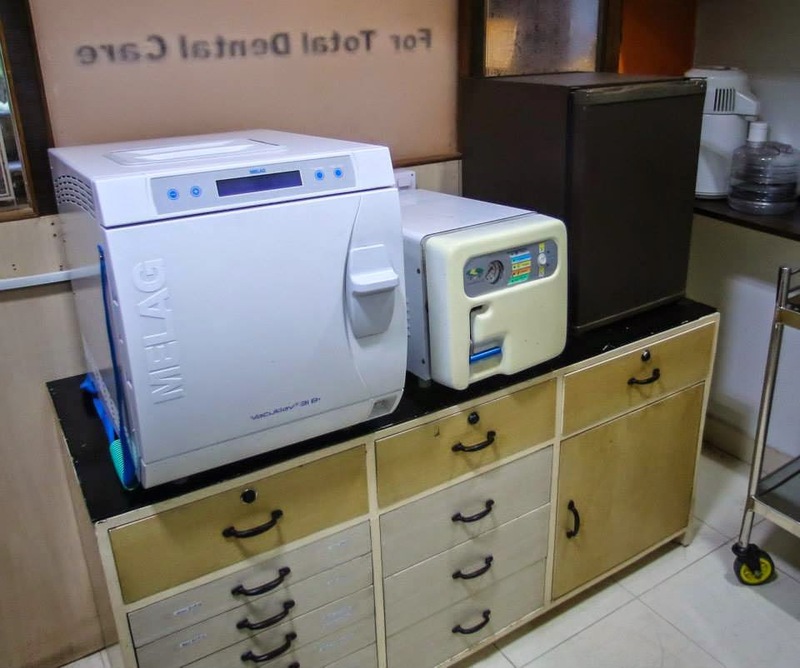 FOR FOOL- PROOF STERILIZATION.We are one of the very few clinics in India equipped with most modern B-CLASS AUTOCLAVE from MELAG-GERMANY. With B-CLASS AUTOCLAVE you are assured of 100% sterilization of all the equipment and instruments used during your treatment procedures. Read more to know how a B-CLASS AUTO CLAVE can make your procedure 100% safe! Autoclaves commonly sterilize by exposing its items to elevated temperatures of 121 to 134ºC under pressure of 15 to 30 psi, for a holding time of anywhere between three to 30 minutes. The combination of the time, temperature and steam, deliver a powerful kill rate which even the hardest of bacteria find hard to survive. This effective and yet clean method of lethality is unmatched by any of the other methods of sterilization. However, if there is residual air in the chamber and load, it will interfere with steam-instrument contact and may compromise sterilization. This residual air can prevent penetration of steam to the depths of the instruments leaving your sterilization incomplete. When you load the autoclave with instruments and close the lid, there is already a lot of stale air trapped inside. For sterilization to take place, this air needs to be effectively purged and replaced with saturated steam. To resolve this problem of purging entrapped air, normal autoclaves have a manually operated valve open till about 100ºC. Once it is closed, the pressure and temperature begins to rise. It is presumed that by this time, the entire entrapped inner air has been purged. However, tests have shown that this is not an effective method for vials, wrapped items, implants, garments and certain types of hollow ware. You can never be assured of efficient penetration of steam right inside, if you are using a regular autoclave. Even a small volume of entrapped air can compromise your sterility assurance level simply because ordinary entrapped air is a very bad conductor of heat and moisture. These pockets of air cannot conduct heat to the load with the same vigor as steam and therefore cold spots remain within the load. 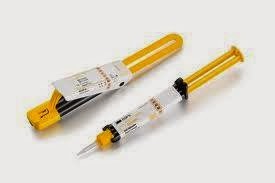 The regular (type N) is suitable for sterilizing only unwrapped and solid instruments. The major concern with the N-cycle sterilizers is the non-removal of trapped air, especially air pockets in difficult-to-access areas of the instruments during displacement. Errors in packaging or overloading the sterilizer chamber can result in cool air pockets where items are not sterilized. DENTAL IMPLANTS IN BANGALORE.PROCEDURE AND COST OF DENTAL IMPLANTS. dental implants bangalore,dental implants bangalore cost,bangalore dental implant clinic,dental implants procedure,tooth implant process. 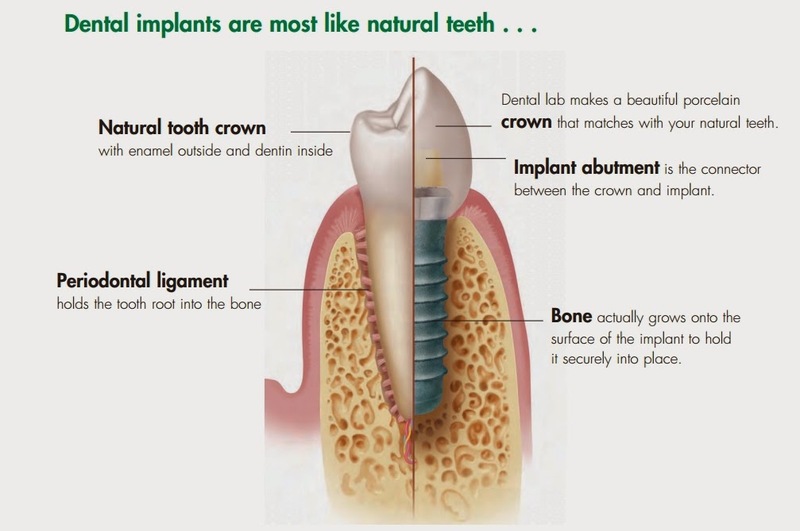 An implant is a man-made replacement for natural teeth which allows the person to return to fixed teeth. It is not a transplant, which is taken from another person. You would require an x-ray to evaluate the amount of bone remaining for evaluation. 2. Who is a candidate for dental implants? For many, missing teeth lead to an unattractive smile, embarrassment from loose dentures . When you lose your teeth, you gradually lose the bone that supported them. As this bone disappears, problems with other teeth nearby happen. This results in loose teeth. Since the bone is deteriorating, it will spread and deteriorate around healthy teeth and ultimately cause the loss of those teeth. This is similar to "domino effect". In addition, this progression will affect the ability to provide the same treatment in the later stages of bone loss than if treatment had been started earlier in the process. It's much better to replace a tooth BEFORE all of the side effects kick in. By waiting, you risk the possibility of not being able to provide the same, simple type of treatment that would have been possible earlier. Different long term research studies have shown that implants which have been placed in good bone can last for a patient's lifetime /20-25 years. However, some implants can fail if the quality of the bone wasn't good, if there was too much bite stress for too few implants or implants which weren't long enough.The failure rate is about 2-8% with implants. Phase #1 is the actual implant placement, a process generally performed in the office with local anaesthesia or light sedation to help make the patient more comfortable. 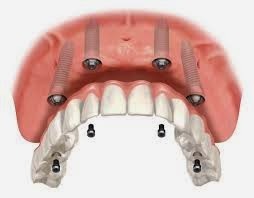 Using precise, gentle techniques, the implants are placed into the jawbone for 2 to3 months while osseointegration (bonding to bone) takes place. This helps ensure a strong, solid foundation for replacement teeth. During this time, temporary bridges or dentures may be used to minimize any cosmetic or chewing inconvenience. 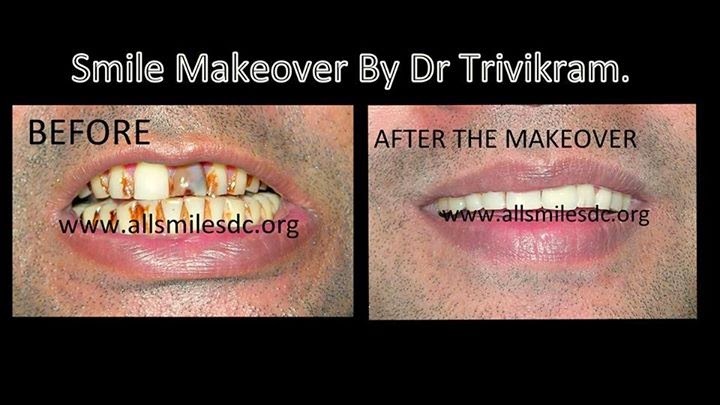 Extreme Smile makeover -of crowded and protruding teeth. Cosmetic dentistry, Smile designing, Smile makeover, Smile Sculpting, Aesthetic Dentistry .All these terms indicate the same treatment options. In simple words it means sculpting a better smile by changing the alignment, shape, colour and texture of your existing teeth with the help of ceramic/porcelain crowns/veneers. Any adult having teeth with gaps, crooked teeth, over sized, small teeth, dark teeth, protruding or fractured teeth is a candidate for smile makeover. This treatment is not a surgery and your teeth can be straightened without braces/orthodontic treatment and can be finished in just 5-7 days. 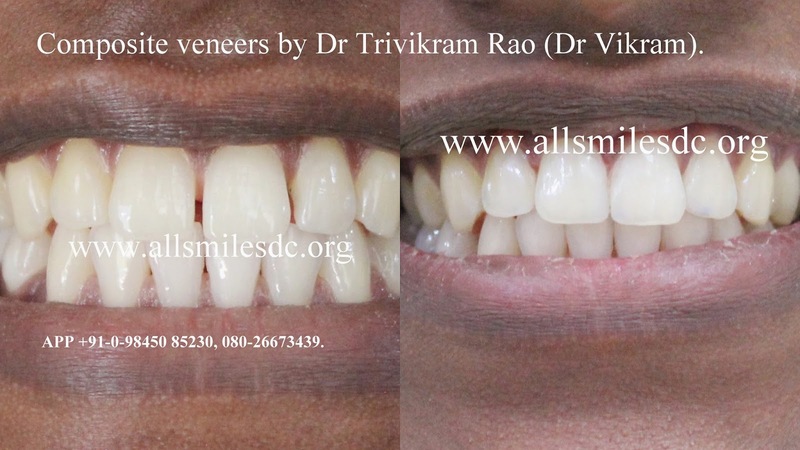 ALL SMILES is a super speciality dental practice located in Basavanagudi, BANGALORE, INDIA, offering services in routine and advanced dental treatments. 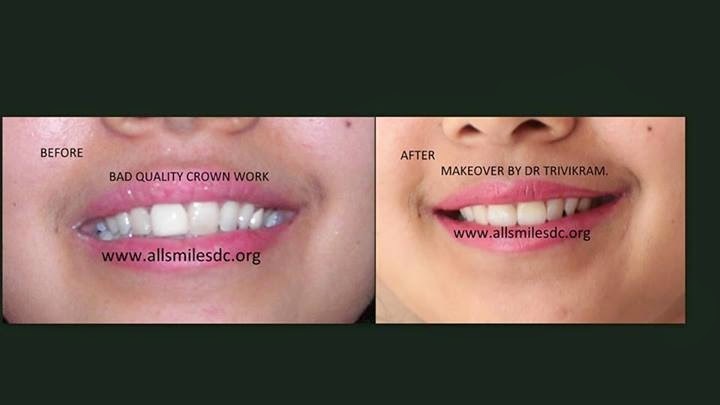 ALLSMILES - CENTRE FOR COSMETIC DENTISTRY AND DENTAL IMPLANTS. Located only at - N0.64, SHANKAR MUTT MAIN ROAD BASAVANAGUDI. (no other branches). BANGALORE-560004.KARNATAKA. INDIA. E-MAIL- allsmilesdc@hotmail.com PH +91-0- 98450 85230. COST OF SMILE MAKEOVERS/SMILE DESIGNING (cosmetic dentistry) AND FACTORS DECIDING IT. What is the cost of Cosmetic Dentistry; (veneers, crowns, laminates) . porcelain crowns vs metal crowns. 1. The quality of materials used during the treatment- - RUBBER BASE IMPRESSION MATERIAL. 2.The choice of porcelain material and choice of laboratory.